Medical Articles by Dr. Ray - Page 64 of 66 - Collection of health news, health articles and useful medical information you can use in everyday life. There has not been a large study in the US looking at the natural frequency of Celiac disease (CD) in the population. Celiac disease is an inborn hypersensitivity to gluten, to be more precise, a hypersensitivity to the sub-fraction of gluten, called “gliadin”, which leads to an atrophy of the villi in the small intestine. Dr. Alessio Fasano, from the University of Maryland in Baltimore, and colleagues have examined a total of 13,145 subjects in their study to look for specific antibodies in the blood and by doing as many bowel biopsies to see how many cases of CD would be found. There were 4 groups of patients that could be identified: 4,508 first-degree relatives of CD proven patients; 1,275 second-degree relatives; 3,236 symptomatic patients who either had gastrointestinal (GI) symptoms or who had a disorder associated with CD; 4,126 patients not considered at risk and who could serve as a control group. Below are the results of the study in tabular form. 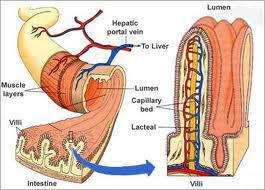 The blood tests that were performed were the anti-endomysial antibodies (EMA). In all positive tests two more specific CD blood tests were done as well. The results in the table showed that the first degree relatives of CD patients are at a higher risk of developing he disease, even if they have no bowel symptoms (they may be incubating the disease before they even get CD). Second degree relative had about half the risk from first degree relatives. A surprisingly high number of patients with gastrointestinal symptoms do have CD (1 in 56 patients). The normal control group finding of 1 CD patient among 133 people was very similar to the European studies that had been published in the past. Dr. Andreas Papassotiropoulos and his group from the University of Zurich in Switzerland have published an interesting paper in the January issue of archives of Neurology (Arch Neurol 2003;60:29-35). These researchers found when they compared a certain genetic area of 201 patients with Alzheimer’s disease with that of 248 control subjects, that there were important differences in the socalled CYP46 genotype. A modified form of this genetic region (CYP46*TT genotype) was much more common in the late onset Alzheimers patients than in normal controls. When this test was found to be positive in a patient, this was associated with a 2.16-fold risk of Alzheimers. 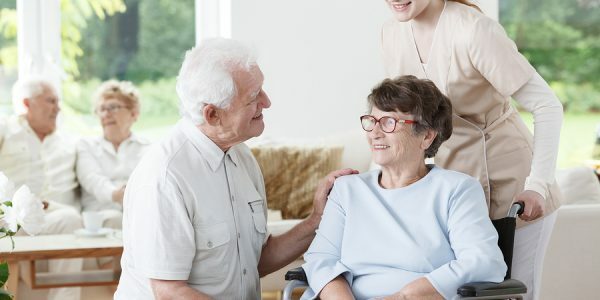 However, if another known genetic Alzheimers marker (apolipoprotein E epsilon-4) was present also at the same time, the risk of that person having Alzheimers was 9.6-fold when compared to normal controls. With another group of patients who had died from Alzheimers disease, autopsies were done and the brain tissues and cerebrospinal fluids was examined. It was found that the brain tissues and cerebrospinal fluids were loaded with beta-amyloid, which is the glue-like substance typical for Alzheimers. The Swiss authors concluded from their study that CYP46 is a novel susceptibility gene, which allows to test for Alzheimer’s disease. From other studies it was known that the CYP46 gene encodes the cholesterol 24-hydroxylase, an enzyme that breaks down cholesterol in the brain. It was also known that the beta-amyloid is a by-product of this changed cholesterol metabolism in brains of Alzheimers patients. There are now new possibilities of prevention, if perhaps changes in diet would prevent the accumulation of cholesterol in the brain. Also, medications could be developed that help reducing the cholesterol load of Alzheimers brains to prevent the devastating memory loss. At the 75th Annual Scientific sessions of the American Heart Association in Chicago several presentations centered around the use of the C-reactive protein test to evaluate risks for heart attacks, strokes and the risk of restenosing after doing a cardiac procedure to reopen stenosed coronary arteries. I have previously reported about the use of the C-reactive protein (CRP) test in a review regarding Dr. Paul Ridker’s study in the New England Journal of Medicine. This study is ongoing and is known under the name “Women’s Health Study”. He followed a large group of women and found that an increase of the CRP was closely associated with heart attacks. Other investigators found now that an increase of CRP is closely linked with obesity, with the metabolic syndrome (also known under “insulin resistance”) and hormone replacement therapy. 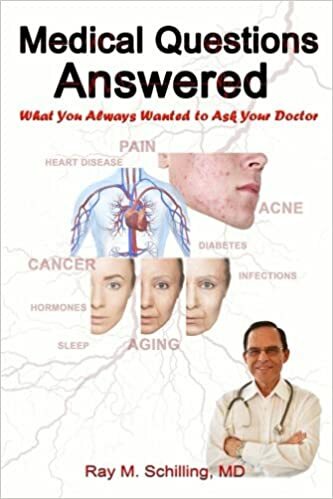 There appears to be a pivotal shift among cardiologists in that it is now clear that inflammation seems to be at the center of the process of hardening of the arteries, not just in a few cases, but in everybody who has heart disease. Below I summarized some of the features of CRP in a table. There will be a lot of information coming out in the next few years. Two major trials have been started where patients with a normal cholesterol, but an abnormally high CRP, will be followed along. The JUPITER trial will look at the effect of treating these patients with rosuvastatin (brand name: Crestor). 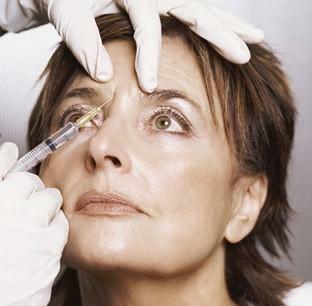 About 15,000 patients will be enrolled in this trial and followed for about 4 years. The Canadian 4R trial (Risk Reduction with Ramipril in patients with high CRP) uses ramipril (brand name: Altace) for 12 weeks to see whether it reduces CRP levels. Much more research is needed, but the doctors already know enough about CRP to state that it is a major player when it comes to hardening of arteries. They also know that LDL cholesterol is not outdated, as both LDL cholesterol and CRP play important roles in this process. Based on a cardiology update in the Medical Post, Dec. 31, 2002, page 17 to 19. Comments on Dec. 10, 2012: The 4 R Canadian study showed a tendency towards a lowering of CRP with Ramipril, but it was statistically not significant due to numbers that were too low and the observation period was not long enough. The Jupiter trial had to be abandoned after two years as there was concern of diabetes being caused by Crestor and because the effect of prevention of heart attacks was not seen early enough (the number of treatments required before a beneficial effect could be seen was too high). Here is a review why rosuvastatin (brand name: Crestor) should be approached with caution. In the Dec.31, 2002 edition of the Medical Post a report of the recent North American Spine Society’s annual meeting in Montreal was entitled: “Aggressive approach to slipped discs needed”. A ground breaking study from England was presented that will change the attitude of many physicians about “slipped discs”. Discs in the lower back do not really “slip”. 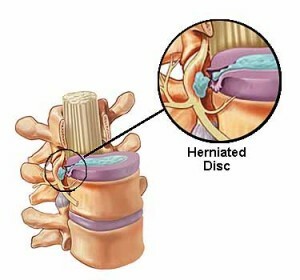 The disc can bulge, protrude or herniate. In the center of the disc is a more liquid part (nucleus pulposus), which can leak out when the fibrotic shell of the disc tears. This occurs commonly with aging and also with obesity. Dr. Keith Greenfield from the University of Bristol presented data together with the Walton Neurosurgery Centre in Liverpool showing that the borderline cases (“bulging discs”)that previously were treated without surgery do much better when early surgery is done (discectomy). This is a shift for many European countries and Commonwealth countries including Canada. In the US back surgeons always had a higher surgical rate as MRI scans have been used much earlier as the standard and the hidden minor disc protrusions and bulging discs are visualized earlier. Dr. Greenfield’s study involves 88 patients who belong into the group of patients who are borderline cases between those who definitely need surgery because of a sciatic nerve compression and those who do not need surgery (normal MRI scan). 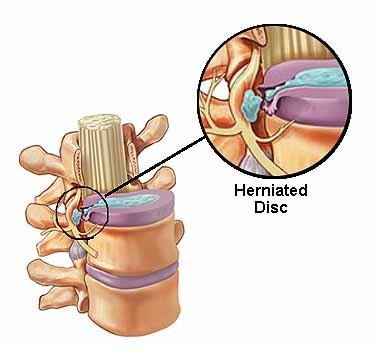 Clinically the “slipped disc” group (with disc bulges) has moderate back pain and some pain that radiates into the leg. They have moderate disabilities with problems of walking, sitting, travelling and standing. The investigators treated half of the patients with microdiscectomy and the other half with conservative treatment (physiotherapy etc.). One year after the surgery a large percentage of them had returned to work and are feeling fine. The control group is quite the opposite: a large percentage of them has slipped into total disability that makes it impossible for them to return to work. 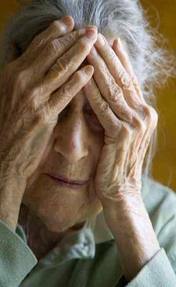 Many have entered into chronic pain syndromes that might keep them disabled for a long time. The study is ongoing and the group will report about the two year follow-up point in Vancouver/B.C./Canada in May 2003 at a conference of the International Society for the Study of the Lumbar Spine. For now it seems that microdiscectomy is the treatment of choice in the bordrline cases of disc bulges and mild disc protrusions. Comments: The rate of back surgery in the US has been 10 times that in England. 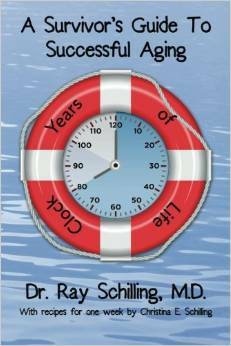 Perhaps it is time that back surgery is being standardized and MRI scans are done routinely in every more significant back case to find out what’s going on earlier in the course of back pain. 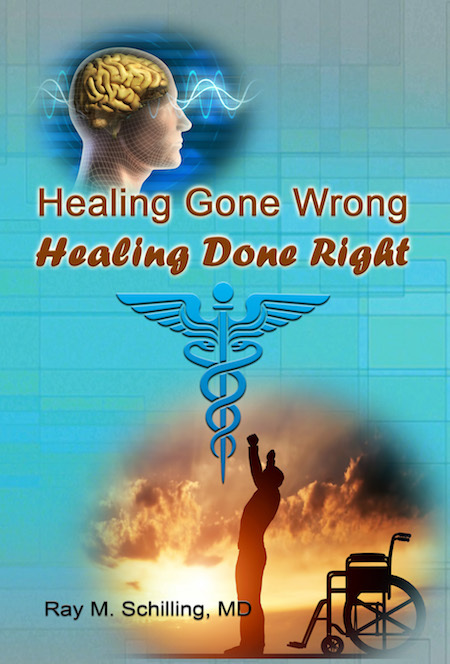 The direction medicine is going is that back pain that persists for more than 1 month likely should be MRI scanned. In case of a positive finding (bulge, protrusion or disc herniation), this study suggests that doing a microdiscectomy would be the new standard of therapy. Early mobilisation is the other key, which sports medicine physicians have been aware of and used for the last decade. If it’s good for athletes, it is likely good for the public at large. Other link: Low back pain. In a recent issue of The Medical Post, a weekly news magazine for Canadian Physicians (The Medical Post, Jan. 28, 2003), Dr. Suzan Biali has revisited what is medically known about the effects of coffee on health. This doctor is a family physician in Vancouver/B.C., but also has a degree in dietetics. Here is a summary in table form of what this medical review found. Dr. Biali also mentioned the recent publication in the November issue of the Lancet by the Dutch investigators that coffee consumption of more than 7 cups per day would cut diabetes in half. Summary: It would appear that coffee consumption is better than previously thought of. Most people can benefit from it. But this is a personal preference issue. Some groups of patients should refrain from coffee consumption entirely such as patients with rheumatoid arthritis. Others such as women in early pregnancy (particularly the first 3 to 4 months) should refrain from it. When infertility is a problem it is wiser to refrain completely from coffee as well. Patients with a tendency to ulcers likely should refrain or cut down the coffee consumption. The majority of the population likely could enjoy a cup of coffee and prevent degenerative neurological diseases (Alzheimers and Parkinsons disease). Some patients with psychiatric illnesses (phobias, anxiety disorders) likely should stay away from coffee as should patients with high blood pressure or heart rhythm irregularities. Coffee — what’s the scoop? Alzheimers and Parkinsons the cells in the basal ganglia that produce dopamine get stimulated by coffee; this is also the seat of the addiction (though mild) to coffee and the cause for headaches when coffee is suddenly withdrawn. This effect prevents Alzheimers and Parkinsons, both bad degenerative neurological disorders. to get worse with coffee. Arabian type coffee is less acidy than South American coffee. Coffee does not cause ulcers, but may stimulate existing acid production and in higher doses may stimulate H.pylori growth. panic attacks and insomnia more sensitive people tend to feel anxious with a single cup of coffee per day, others can tolerate many cups. When a patient complains about panic attacks or insomnia the physician will likely inquire about how much coffee the person drinks. In this February’s Readers’ Digest edition there is an article about the use of poisons of nature for healing purposes (article entitled “Healing Power of Poison”). For instance arsenic trioxide has been used recently in a trial with leukemia patients to get a remission of leukemia in 70% of cases. Arsenic, which normally is a powerful poison, has in the right dilution this healing effect in leukemia with less toxic side-effects than chemotherapy. Dr. J. Michael McIntosh, a psychiatrist at the University of Utah, is researching the poisonous effect of a marine snail that attaches to and kills fish with a toxin. This poison is a powerful painkiller. It is several hundred times stronger than morphine, but is useful as it does not have any effect on the strength or functioning of muscles. This substance used in the right diluted dose, may one day be used for the treatment of chronic pain syndromes. The bacterium Clostridium botulinum produced a powerful toxin, which causes botulism. Neurologists and plastic surgeons are using this poison in a diluted form as “Botox” to inject into wrinkles of skin to make your face look younger. It is also used for chronic spastic muscle conditions like cerebral palsy or tardive dyskinesia. The Netherlands Epidemiology and Demography Compression of Morbidity Research Group has published an important medical research paper in the Jan. 7, 2003 edition of the Annals of Internal Medicine (Ann Intern Med 2003;138:24-32). 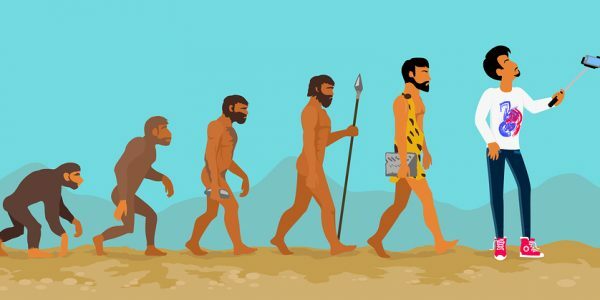 The lead researcher, Dr. Anna Peeters, explained that the group has revisited the Framingham Heart Study 40 years later and analyzed survival statistics of the group of men and women who enrolled in this longterm study between 1948 and 1951. The population at the beginning of the study was aged between 30 and 49. The snap shot, after 40 years had elapsed, is the subject of this analysis. In order to make it easier to understand, I have tabulated the data as seen below. This study shows that life style choices do matter: being overweight shortens your life by 3 years on average, being obese shortens it by 6 to 7 years. 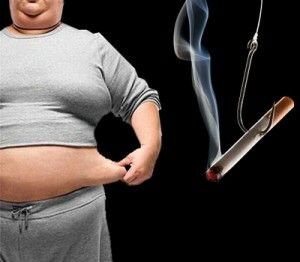 Add the risk of smoking, and you end up shortening your life by 7 years in the case of being overweight (4 years more than without smoking) or more than 13 years, if you are obese. 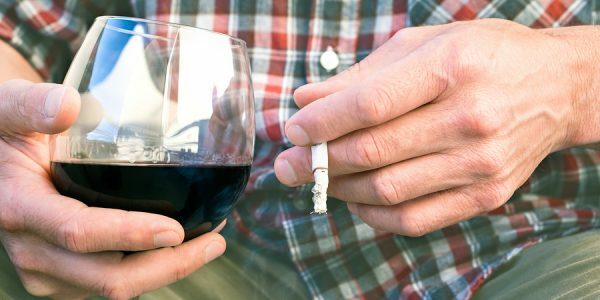 This study was based on 3,457 participants who 40 years ago had a life expectancy of 85 years, if they were in the normal weight category and did not smoke. The death rates were much higher than the researchers expected. 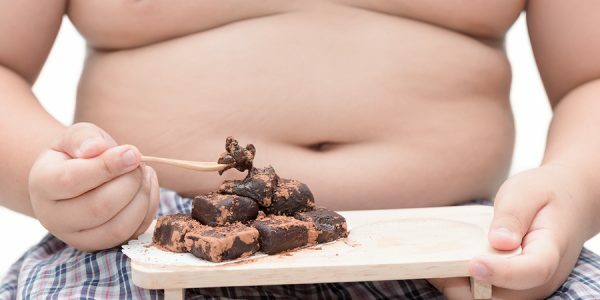 The researchers from the Erasmus Medical Center in Rotterdam stated as a conclusion: ” just think about two things: Don’t get fat and don’t smoke”. A recent article in the British Journal of Medicine on Jan. 18, 2003 (BMJ 2003;326:137) is about a retrospective risk analysis of two groups of full-term delivered newborns that were delivered at a Dublin (Ireland) University Hospital. The delivery records of 4070 male and 4005 female newborns between 1997 and 2000 were analyzed. Dr. Maeve A. Eogan said that the team noted significantly more Cesarean section rates due to more frequent fetal distress in males. 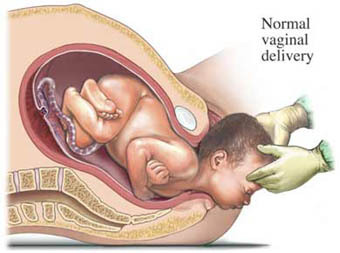 There were more forceps deliveries with males and drugs to induce labor had to be used more often in males as well. One known factor is the that males have a higher birth weight as well as larger heads compared to their female counterparts. But the investigators are looking for further explanations of why males seem to be more prone to distress during deliveries than females. 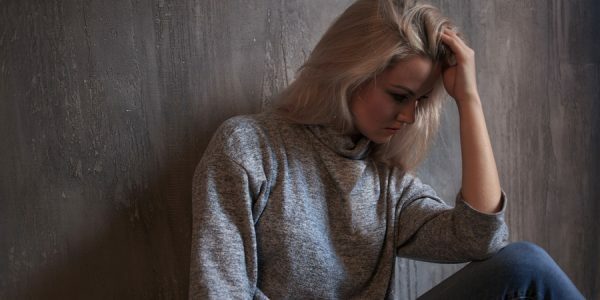 There may be a genetic component that may also play a role, but more investigations are needed to find out why this would be so. In the meantime doctors have to play it safe and watch both mother and the baby about to be born and make sure that there is a good outcome. This means monitoring the fetal heart rate to check on the baby and monitoring the mother with regard to progress of labor. In case of problems it usually means a Cesarean section or induced labor, both of which are procedures that are associated with potentail complications. Vertebroplasty And Kyphoplasty: Are These Procedures Safe? These two orthopedic spinal reconstruction pocedures have become popular in the past few years. 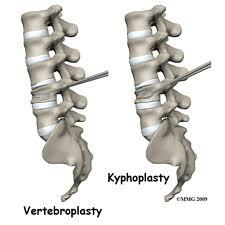 “Vertebroplasty” means doing a repair job on a damaged vertebral bone (spinal column bone). Originally this was developed for end stage cancer patients who had a single bone metastasis that led to a collapse of this vertebral bone. The difference in a good outcome of this procedure can mean the difference between being bedridden until death or walking and being active. In a recent review of THE BACK LETTER (Vol.12, 12, Dec. 2002, Lippincott Williams & Wilkins), which critically reviews the literature regarding back pain and treatments, this procedure, even if successful, has not been researched long enough to be considered “standard therapy”. Many investigators report a success rate of 95% for compression fractures in patients with osteoporosis. But the FDA has warned that the bone cement that it used in this type of spinal surgery has never been properly investigaed for this application in non-cancer patients. Nevertheless the technique of vertebroplasty has been clinically so impressive that those with severe kyphosis in the spine also wanted surgery. Kyphosis is a roundback in the mid spine area (thoracic spine) that can significantly interfere with normal posture, breathing action and cardiovascular functioning. Kyphoplasty is the procedure of repairing the curvature of the kyphosis, which consists usually of a series of several vertebral bodies with wedge shaped compression fractures in the thoracic spine. Often these patients are older and have osteoporosis. THE BACK LETTER warns that the verdict on longterm follow-ups is not out. It may take a long time, even 10 to 15 years before this will become available as proper controlled studies have never been done. As the FDA link show, there can be serious life threatening complications from the procedure itself (spinal cord compression, respiratory arrest and death etc.). However, the longterm complications have not been reported properly as there is no longterm trial going on where the investigators would specifically concentrate on finding complications and untoward side-effects. A well-designed multicenter trial regarding vertebroplasty and kyphoplasty is badly needed to answer these safety questions. Apparently efforts are on their way to attempt to do this. In the January 18, 2003 issue of the Lancet (Lancet 2003; 361:195-200) Dr. Dr. Naveed Younis and his collegues published a study from the Royal Liverpool University Hospital, U.K. where diabetic patients underwent thorough eye examinations in regular intervals for 5 years. The question of this study was whether it mattered at what interval patients would be examined with regard to their eye-sight, so that perhaps blindness could be postponed or avoided through early interventions. For group one (no eye damage in the beginning of the study) there was a retinopathy rate of 0.3% at the end of the first year. Group two (moderate retinopathy in the beginning) showed a worsening of the retinopathy at the end of the first year of 5% (threatening blindness). 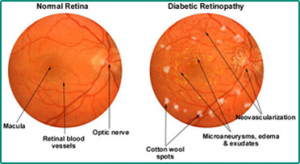 Group three (significant retinopathy in the beginning) showed a rate of 15% of worsening retinopathy (threatening blindness) at the end of one year. After a baseline eye examination those who belong into group one would get an eye examination every 3 years. Those with prior moderate retinopathy (group2) on the initial baseline examination would get examinations at yearly intervals (until the degree of retinopathy worsens). Group 3 with significant retinopathy at the beginning would, however, be examined every 4 months (new recommendation) so that blindness hopefully could be avoided or significantly postponed through interventional therapies.